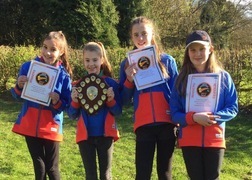 This year was the 35th time that Kohoutek competition for scouts and guides has run and was a brilliant day themed around dinosaurs which saw teams challenged to 20 varied bases and scored on their success at each task. 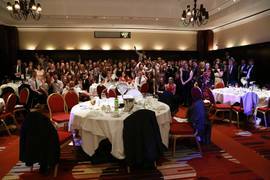 With Ball fast approaching it’s time to say farewell to some old faces, welcome some new ones and look at what’s coming up over the next year! 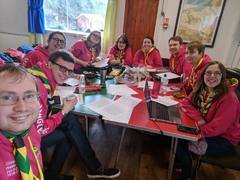 This is your big update on national events, projects and volunteers for 2019-20! 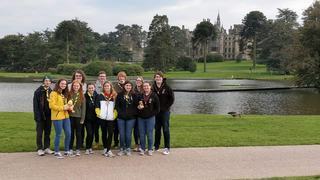 On Saturday 6th April SSAGO headed to Alton Towers, the UK's largest theme park! 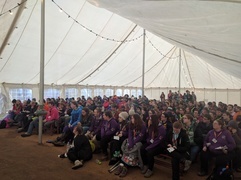 This weekend Glasgow SSAGO fought their way to the Isle of Arran, through all of the barriers thrown at them; from lack of space on the ferry to the hostel boiler being broken... 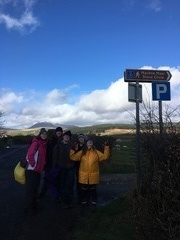 They avoided complete mental breakdowns and managed to have a fab weekend on the Island! SSAGO's oldest object, a 60 year old carved antelope horn gets a make over after suffering some damage to it's wing. 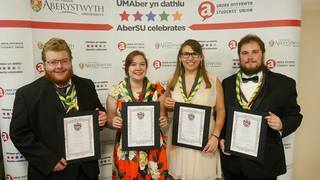 For the past year I’ve been helping the MSAGM Aber SSAGO club organise their archives ready for long term and safe keeping at the University Library, Hugh Owen. 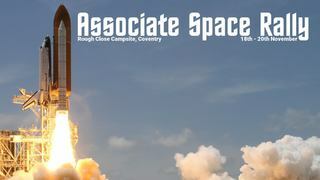 The collection comprises various records documenting their activities and events. 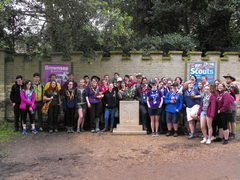 This is the story of how we accidentally found some holes in Southampton SSAGO's history and decided to fill them up. It is a story of how a conversation over lunch led to a bigger plan and of how we took the first steps to fulfill that plan. It is also a story of how a trip into the past influenced me personally and motivated me to work towards linking the past and the future with the present. This is a story about an amateur archivist who did her best to do her duty to the archive. 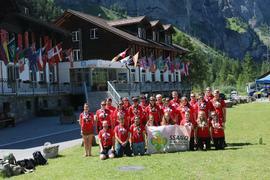 Keele SSAGO visited Kandersteg International Scout Centre for their first ever international trip! 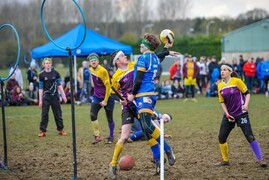 SSAGO and Quidditch: A Superb Combination! 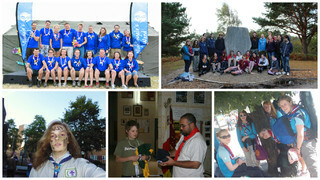 Looking for something new to get involved with or try with your SSAGO club? 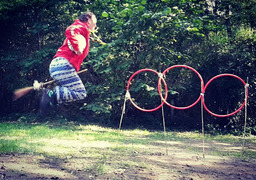 Why not try a game of Quidditch? 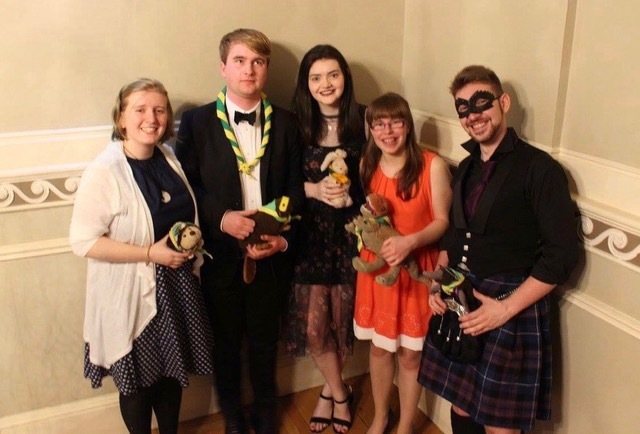 With SAGUWE’s “Yule Ball” ball slowly drifting into our memory banks, take a look at what one of our newer members thought of her first ball and the other activities on offer over the weekend. 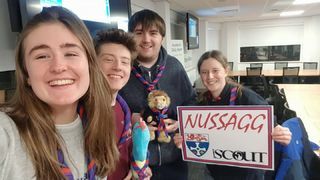 With ball out of the way and the SSAGO Exec’s handover complete it is time to say farewell to some old faces and hello to new members of the team! 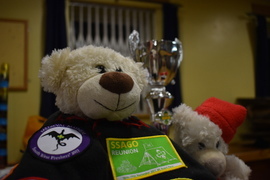 The adventure doesn’t stop when you graduate and leave SSAGO, here’s a sneak peek of what SAGGA (the Scout and Guide Graduate Association) gets up to. 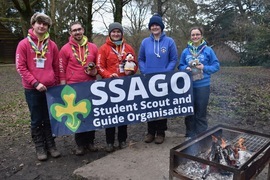 Growth of SSAGO in Scotland! 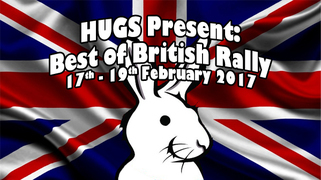 Now the excitement of the holidays has passed and you’ve all settled into 2018, we thought we’d give you something to smile about; a reminder of rally! 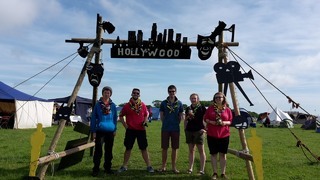 It may seem like a lifetime ago but it was in fact only 2 months ago that we all rocked up at Sid Vale Campsite for a weekend of 90s themed fun! Get your Sci Jam on! 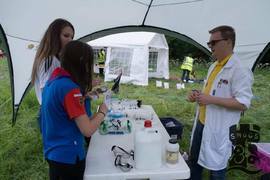 Last weekend members of Liverpool SSAGO helped run the University of Liverpool Science Jamboree 2017, where students planned and ran activites for almost 600 beavers, cubs and brownies helping the children complete various activity badges. 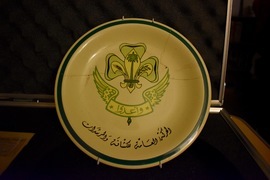 The mysteries of the Gadaffy Plate... revealed! Step back in time with 35 years of Gadaffy Duck Challenges! 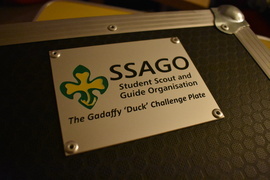 The SSAGO Exec continue to hold the Gadaffy Duck Challenge plate after their 3rd win, defeating Southampton at Plymouth's 90s Rally last weekend... but how long can this winning streak last? 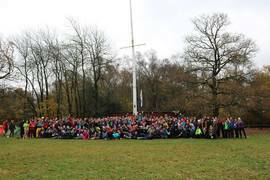 On the weekend of Friday 27th October, a group of SSAGOers gathered at Gilwell Park to run some of the activities for Scarefest – A national Halloween themed camp for Scouts and Explorers! 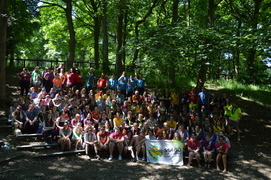 Last weekend SSAGO drifted back to the time of fiery dragons and stony castles. 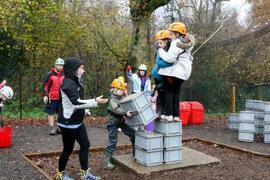 A variety of activities were enjoyed by all from crazy catapults to getting the president of Plymouth stuck in a tunnel! I know it feels like it was an absolute eternity ago now (128 days ago, not that any of us over here are counting) it’s finally time for us to wrap up rally and officially pass over the reins to Plymouth! (Read: I finally got round to typing this up and sending it to James, despite weekly reminders/subtle prompts). 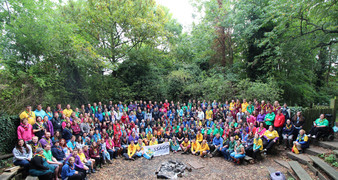 Today, on International day of the Girl, we celebrate our members achieving the highest youth award in Girl Guiding! 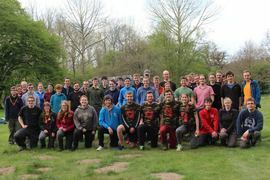 SSAGO celebrated it's 50 year birthday and anniversary by hosting a Reunion at Scout Park in London, bringing together past, present and future members of SSAGO for one giant celebration in the traditional SSAGO style. 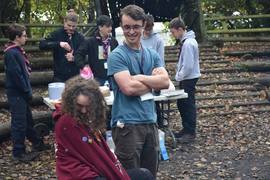 A tale of 2 SSAGOers... at Kent International Jamboree! 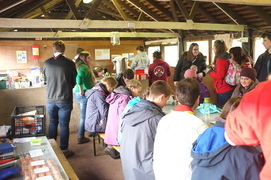 Student Guides teamed up with the Royal Astronomical Society for some out of this world activities at Wellies and Wristbands at Waddow Hall! 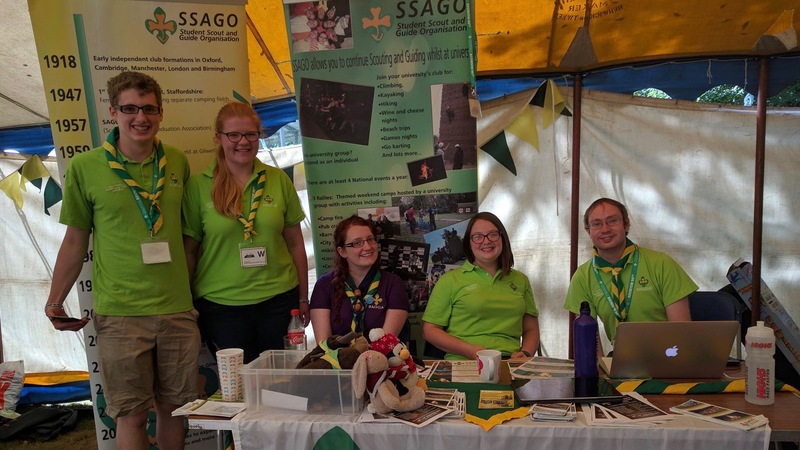 For the first time there was an official SSAGO presence at Wellies and Wristbands. 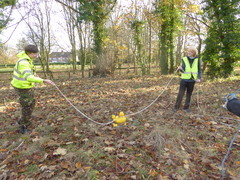 At Foxlease we ran Muggle Quidditch and learnt that SAGUWE need to keep a closer eye on their penguins! 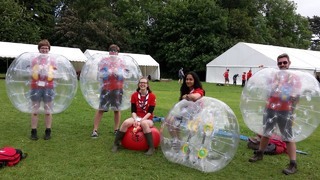 A week spent supporting Poacher International Scout and Guide Jamboree! 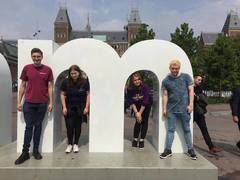 "This incredible pool of friendly faces, based all around the country means that wherever you are you’re probably not far away from someone you’ve met; even if you don’t know them that well. 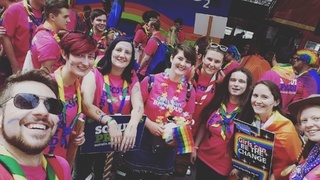 This idea was recently tested when one member of Aberystwyth managed to abandon one of their mascots in Stockport Station..."
Last weekend SSAGOers from across the UK headed to the capital to March alongside The Scout Association and GirlGuiding in London Pride! 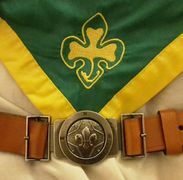 10 days exploring nature and culture in a foreign country, with an actual belt as the award! 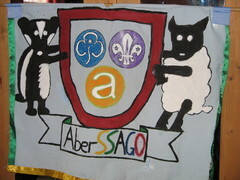 SAGUWE had a very wet summer camp in North Wales, full of bouncing, splashing, climbing and #BugBitesandBruses! 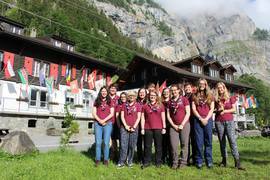 Southampton and Solent SSAGO embark on a journey to Kandersteg, Switzerland staying at the International Scout Centre for a week of excitement and adventure! 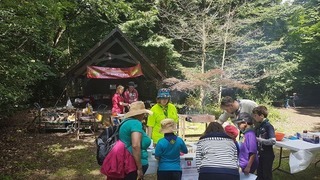 On Sunday 11th June, The University of Nottingham Scout and Guide Society ran a funday for over 250 Beavers, Cubs, Scouts, Rainbows, Brownies and Guides and their leaders. 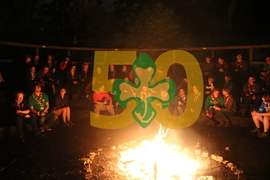 The Student Scout and Guide Organisation formed in 1967, which makes 2017 it's 50th year! 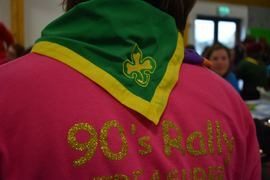 We're celebrating in style with a huge camp, a tough challenge and shiny badge worthy of our Golden Anniversary! 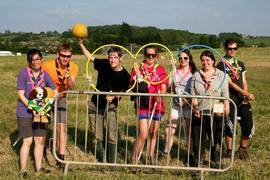 Over the second May Bank Holiday weekend, eight SSAGOers from across the country got together to help at Oxfordshire’s Jamboree, OxonJam... running Quidditch for all ages! 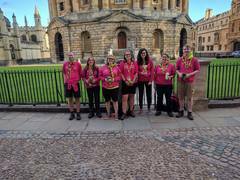 When SSAGO and SAGGA meet up in a delightful gathering in Oxford, including pizza and fudge, museum exploring, board games, a lovely camp in the sun and sharing many stories and ideas! 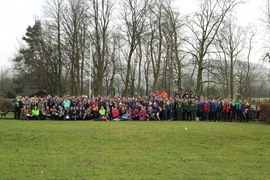 StinGS organised a weekend of walking and scrambling in the Lake District for both Sheffield SSAGO clubs. 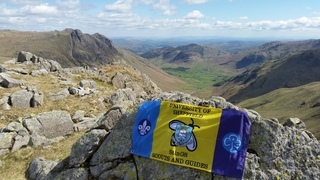 They spent a weekend camping at Scout Adventures Great Tower Scout while walking and scrambling in the near by Langdale Valley. Who are the Exec and Assistants? Introducing the new SSAGO Executive committee and their assistants! 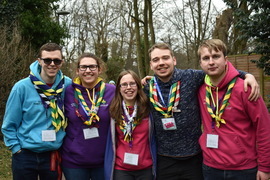 Fancy getting more involved with National SSAGO? 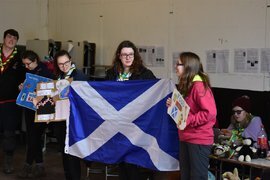 There are two open executive assistant roles on the SSAGO committee, international officer and archivist. 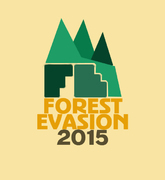 Forest Evasion is an annual competition that allows you to evade capture in teams of 4-7 or be the catcher. 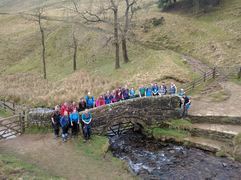 Weekend away to the Peak District! 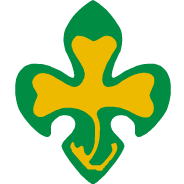 Today we celebrate the birth of both Lord and Lady Baden-Powell, and the founding of the movements of Scouting and Guiding that make up not just SSAGO, but such an important part of our lives. 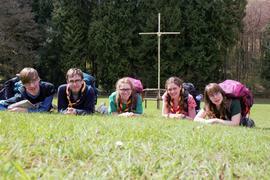 The exec also reflect on what Scouting and Guiding mean to them. 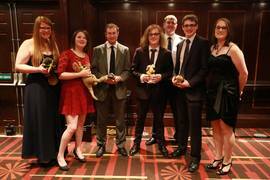 Following the AGM on Sunday morning and the conclusion of Best of British Rally hosted by Sheffield Hallam SSAGO, we would like to announce the new SSAGO Exec for 2017-2018, the rest of the SSAGO committee and the next set of national events. 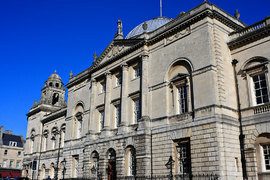 Bath Masked Ball: Booking is Open! 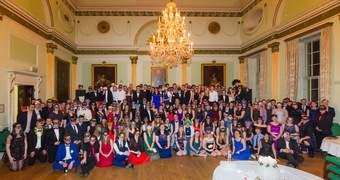 BUGS are proud to announce that booking for Bath Masked Ball 2017 is officially open! 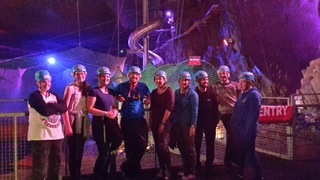 November Rally saw the associates take on the challenge of enabling SSAGO to boldly go where no SSAGO-er has gone before...to SPAAAACE!! 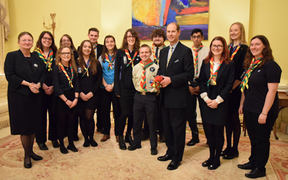 Bath University Guides and Scouts were invited to meet our Chancellor, HRH Prince Edward, the Earl of Wessex, in recognition of all the great voluntary work we do. 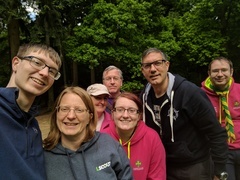 Marathon Challenge is CUSAGCs annual incident hike for explorers, senior section, network, leaders, SASUs, SSAGOs and all other over 14s in scouting. 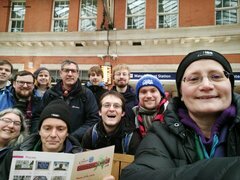 Teams are challenged to visit as many of the given 26 grid references in 9 hours as possible, the further out they go the more points they get. There are also some manned points with bonus points to give out for completeing their challenge and penalties for tardiness. 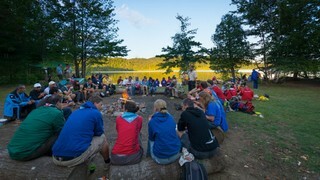 Volunteer with SSAGO at Wintercamp 2017! 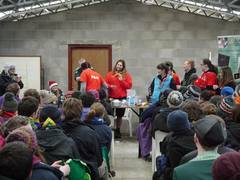 SSAGO is excited to be helping volunteer with the running of traditional scouting activities at Wintercamp again this year on the weekend of the 6th January 2017, but we need your help to make it happen! 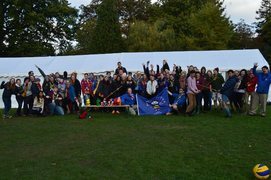 Bookings for the National SSAGO Space Rally, taking place on the 18th-20th of November in Coventry are NOW OPEN! 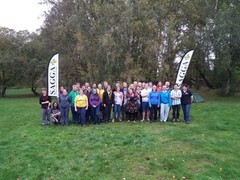 SAGUWE not so Freshers camp! 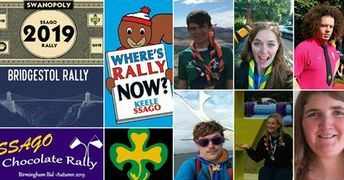 After much preparation and excitement, and perhaps unwisely only 2 days after our summer camp, it was time for Southampton SSAGO’s Dino rally. 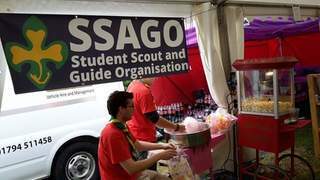 SSAGO attended the Great Yorkshire Show in collaboration with North East England Guiding. 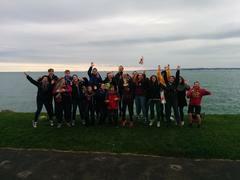 Adventures to the Isle of Wight! 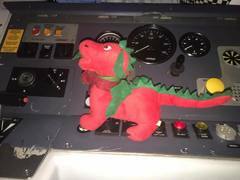 The Notifications Officer and Ralph's packed weekend at Packmania 2016! 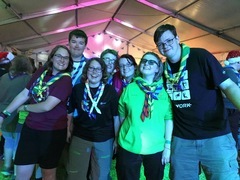 If you want a chance to meet Scouts from around the world, make new friends, explore a new country and culture, take part in all manner of exciting activities and experience a World Scout event, The World Scout Moot is your chance! 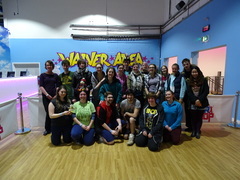 SAGUWE & UoBGAS head to AirHop for a fun filled evening celebrating the end of the semester. 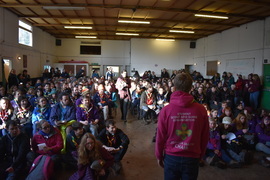 Another fantastic SSAGO Spring Rally, this time hosted by SAGUWE at Woodhouse Park Activity centre, Bristol! 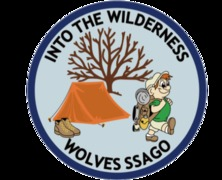 Wolverhampton SSAGO have created a challenge badge to help raise funds, covering 3 main sections: Before you go into the wilderness, The wilderness and Wilderness SOS. 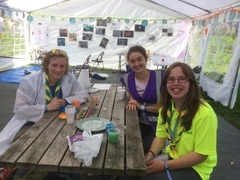 The challenge badge can be incorporated into a programme for young people from the age of Beavers and Rainbows through to Explorers, Network and Senior Section. 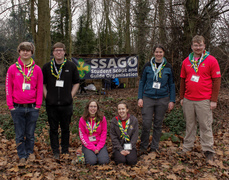 The SSAGO AGM will be held on the 14th February 2016, 10am, at Woodhouse Park. At the AGM the elections for the 2016/17 SSAGO Exec will be held as well as bidding for next years National Events. 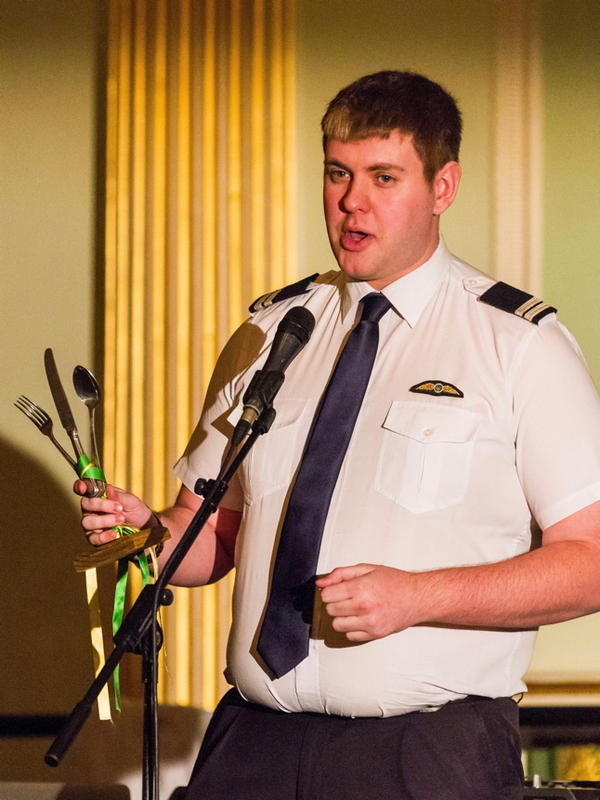 If you want to nominate yourself for one of the roles or bid to host an event head over to: http://vote.ssago.org/ to find out more. 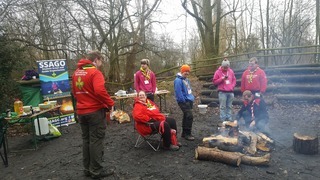 Here's what we got up to promoting SSAGO at the National Scout Wintercamp this January. 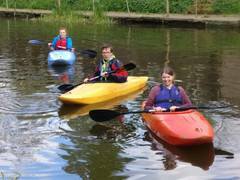 Fancy a challenge, in an adventurous outdoor role? 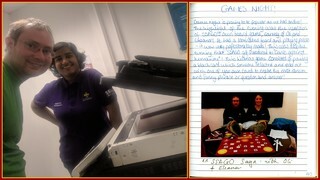 Working at a Girlguiding Training and Activity Centre could be for you! 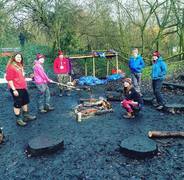 SSAGO is excited to be running backwoods cooking at Wintercamp again this year on the weekend of the 8th January 2016, but we need your help to make it happen! 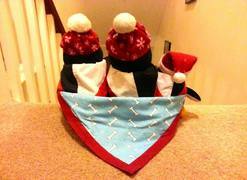 It couldn't be easier - find out more inside! 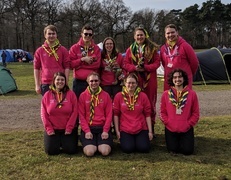 A big part of our publicity programme is being present at National events attended by scouts and guides of near-University age, running activities and telling all of the young people and leaders we meet about SSAGO! 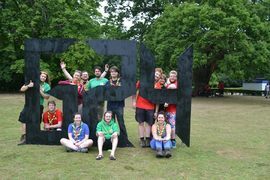 Find out about our adventures at Gilwell 24! 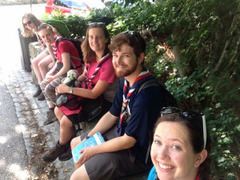 In August, five daring students from the Leeds University Scout and Guide society ventured to Luxembourg on a 10 day explorer belt. Our project was to look at how in a globalised world, how is Luxembourg keeping its national identity. This allowed us to travel across the borders into neighbouring France, Belgium and Germany to make a few comparisons. 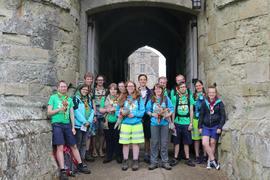 One underlying motivation for the trip was to promote adventure beyond Scouts and Explorer sections and that there are still things to achieve and adventures to undertake. 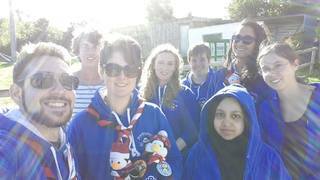 The National SSAGO Exec met up with Girlguiding to renew the relationship between SSAGO and Girlguiding and to pave the way for the future!